ANUARFAIZAL is a self taught Creative Maven with a Bachelor’s Degree in Accountancy from UiTM Shah Alam, born in America, this young designer has found his epiphany to his actual calling as a career turnaround arrives in year 2014,to dabble in Fashion Design catering to Menswear, Bespoke Tailoring and Demi Couture. Creating a modern twist to the conventional Baju Melayu, ANUARFAIZAL braves himself to portray a contemporary look on the Traditional attire. 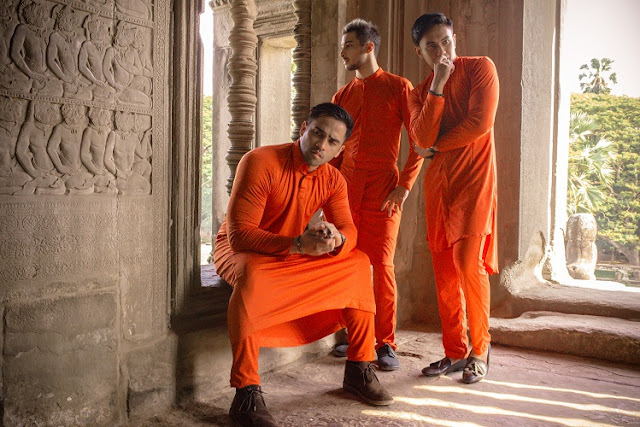 This has a created a controversial response from some who feels that ANUARFAIZAL was too fashion-forward and insensitive of the traditional Baju Melayu concept. ANUARFAIZAL’s brand approach and marketing strategy was very direct and effective. He quickly gain attention and became a household name amongst local Celebrities, and established himself as their Personal Couturier as well the designer of choice for Brides-to-Be / Wedding Planner: focusing on Glamorous Apparels, Special Events and Fitting Needs. Recently, he held an Art Exhibition and Fashion Show which was supported greatly by University Malaya Art Gallery and its curator Puan Hazlin Anita whom from day one, have open all doors and provided generous assistance, to launch ANUARFAIZAL masterworks not just as a Fashion Player but as a Creative Maven to contribute his Creative Intelligence, for the public to view and to inspire, appreciate and believe. This exclusive collection consists of a Kurta and slim fit pants that can makeshift itself into a Baju Melayu when paired with an Instant sampin; an original creation by ANUARFAIZAL since 2014 as well as a short hem Jubbah, the first of its kind in Malaysia. The fabric is imported and it is labelled as “AIR-FLEX”. It is AIRY, which is suitable for hot and humid weather of our country, FLEXIBLE, one size can go to two size larger to eliminate fit issues and has MINIMAL WRINKLE; perfect for the busy modern men who are always on the go. Sleek and minimal are the key design elements for this 2017 collection. Hidden buttons with a clean silhouette provides the AF men the style and sophistication for a modern Eid menswear. This collection is available online only via all ANUARFAIZAL social media channels. 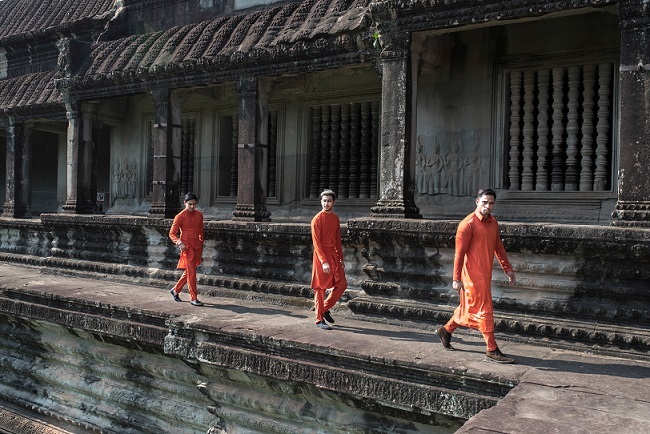 In tandem with the self-set tradition of ANUARFAIZAL fashion campaigns, 2015 in Bangkok, Thailand and Acheh, Indonesia as well as Jakarta, Indonesia in 2016, ANUARFAIZAL has travelled to one of the 7th wonders of the ancient world which is Angkor Wat in Cambodia for the 2017 collection. ANUARFAIZAL is honored by the support given by THE ROYAL KINGDOM OF CAMBODIA as normally, fashion and advertorial shoots are STRICTLY PROHIBITED on the temple grounds. For this, ANUARFAIZAL is eternally grateful to be given this opportunity. This campaign leans towards fine art photography and is helmed by STUDIO27KL and the edgy and moving fashion film is by UNISEX PRODUCTION and was shot across 5 different locations in Siem Reap, Cambodia in a span of two days. ANUARFAIZAL hope that this ground breaking effort will set new benchmarks in the fashion industry especially for modern Eid menswear.